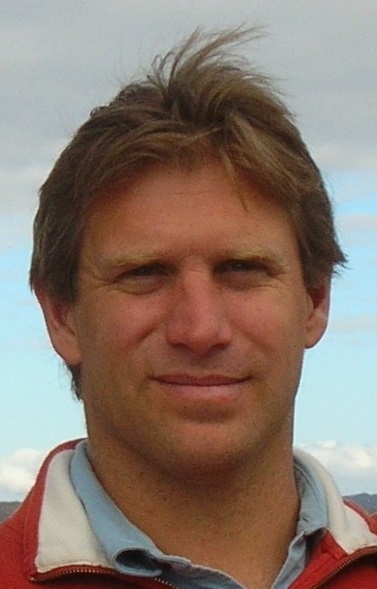 The Transhumanist Wager: Leading futurist, philosopher, and former National Geographic journalist Zoltan Istvan presents his award-winning, bestselling visionary novel, The Transhumanist Wager, as a seminal statement of our times. His philosophical thriller has been called “revolutionary,” “life-changing,” and “a masterpiece” by readers, scholars, and critics. The novel debuts a challenging original philosophy, which rebuffs modern civilization by inviting the end of the human species—and declaring the onset of something greater. 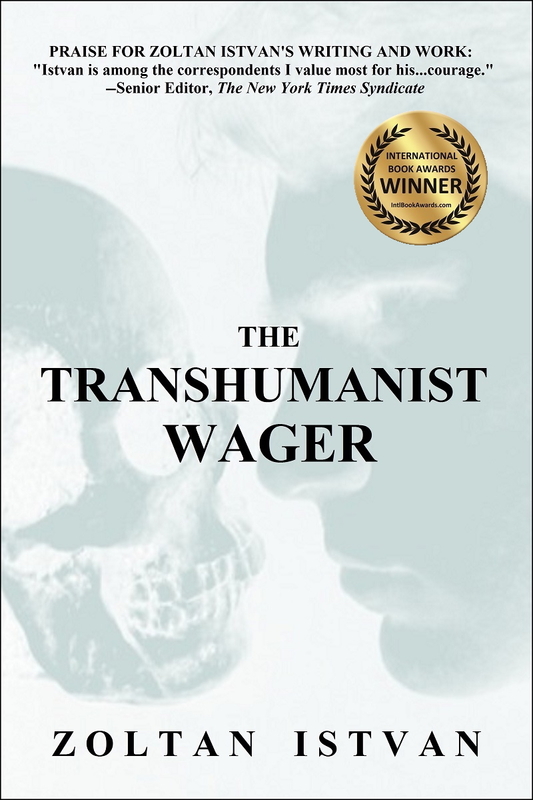 Faktorovich: Can you offer a few paragraphs from your book, The Transhumanist Wager, which best-represent it to readers who have not had a chance to review it? Istvan: The visionary novel, The Transhumanist Wager, presents an original, comprehensive, and rational new philosophy called TEF, or Teleological Egocentric Functionalism. TEF is predicated on logic, a simple wager that every human faces: If a reasoning human being loves and values life, they will want to live as long as possible—the desire to be immortal. Nevertheless, it’s impossible to know if they’re going to be immortal once they die. To do nothing doesn’t help the odds of attaining immortality—since it seems evident that everyone will die someday and possibly cease to exist. To try to do something scientifically constructive towards ensuring immortality beforehand is the most logical conclusion. Faktorovich: Can you explain what the transhumanist movement is all about to those who aren’t already members? Istvan: The word transhuman means beyond human. The movement is really just a loose collection of scientists, technologists and futurists who want to use science and technology to radically alter and improve the human being. Artificial hearts is a prime example of a very transhumanist idea and technology. Faktorovich: For those who would like to see their book become a best-seller on Amazon, can you describe what marketing, promotion, or other types of steps you took to raise the visibility of your book and to attract buyers? Did your press appearances and the articles you have published in various international publications on transhumanism play a major role in this success? Istvan: Getting a book onto any bestseller list is very challenging. There’s a lot of luck involved, and there’s even more hard work involved. Basically, every day one has to go into social media and promote their work. Additionally, it’s critical to get reviews from major media early on in the book’s life, so that you have a real leg to stand on. And of course they must be good reviews. For me, a couple key reviews came in from large publications in the first 6 weeks of my book launch, and that got me off and running. Once your book starts getting noticed, it’s much easier to build off that and grow a readership. Faktorovich: Can you tell us about one or two of the most excited adventures you had while you were sailing around the world as a youth? Were there misadventures, when your life was in danger? Were there great positive experiences in any remote islands or amazing parts of the world? Istvan: Perhaps my most exciting adventure was discovering an isolated tribe in a remote part of Vanuatu in the South Pacific. The tribe had never seen foreigners before. Six years after that experience, I returned as a journalist for the National Geographic Channel and covered them in a television piece. 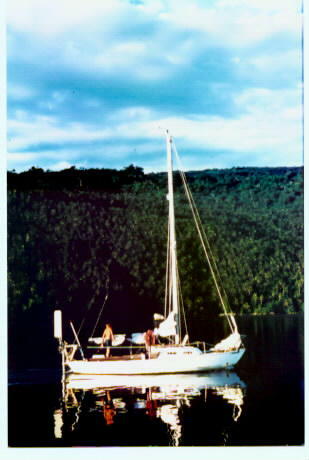 I had many other adventures too, some very dangerous while sailing through storms. Others very interesting while visiting land. I spent a lot of time in the Middle East and even went though a pirate attack in Yemen, that was later documented for television. Faktorovich: From among your travels, what do you think is the most beautiful or the most amazing place on earth to visit or to live in? Would you live there, if you could? Why or why not? Istvan: Palau is the most amazing, lush place I’ve ever been. There are hundreds of these rock islands which are enclosed in a giant lagoon. And it’s a protected reserve, so much of the fish and sea life is still intact. I’m a big scuba diver, and it was a great place to scuba dive. Faktorovich: Was it a smooth transition for you between sailing for fun and becoming a correspondent for the National Geographic Channel? Do you think great travel shows simply record great adventures and what life is really like in remote places few people can otherwise access? What is an average day’s work like when you’re reporting for National Geographic? Would you do a lot of research from books or articles about places? Did you take a lot of footage that you didn’t end up using? Istvan: I had a very unique gig at National Geographic. I worked for the channel, and they had just launched it. There were many young journalists getting out there in the world and covering cool stories for them. I filmed short TV pieces and webcasts, and also wrote stories for the website. Each story, of which I did about 40 of them, took about a month of work. I’d do quite a bit of research for each, and then go to where the story was. Mostly, I was abroad. 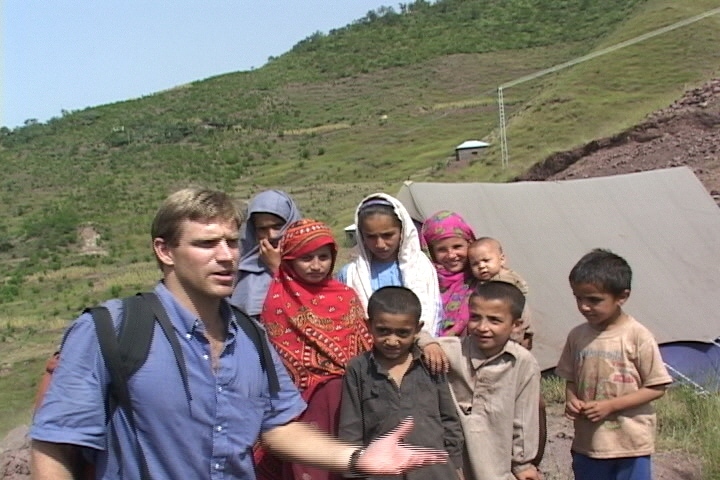 I did cover a lot of dangerous issues, such as the war in Pakistan and India. My days at National Geographic were some of the best in my life. Every day was a new adventure. Faktorovich: Are you planning on making new documentaries after the success of “Pawns of Paradise?” Is it pretty easy for a reporter to put together a crew and go from reporting to making a documentary, or does there have to be a strong story, or other elements without which a documentary isn’t likely to materialize? Istvan: In this day and age, it’s quite easy to make a story. I had no crew. I was there as a solo video journalist. The great thing about technology is that the tiny cameras today are as good as the giant professional ones were 25 years ago. So even a single journalist can make a great story entirely on their own. But of course it’s the story that makes all the difference. It must be worthwhile to tell. And sometimes one can’t know that until they finish the documentary, even after a year of work. Faktorovich: Can you describe what life was like for you while you were reporting on the war in Kashmir? Were you staying in tents? What did you eat? Were there a lot of bugs? Were you in danger from weapon-fire, mines or the like? Istvan: The key when filming in any war, especially as I did it as a solo journalist in a sort of guerilla-like fashion, is to always keep moving. If you stay too long in one place, you draw too much attention to yourself. So you’re always on the go, never more than one night in a hotel if possible. Sometimes, I slept in tents or in train stations. Many times I traveled at night on busses and then slept there. And yes, there was a constant threat of stepping on landmines or being kidnapped by terrorists. There were also strange threats, like snake bites, which were prevalent in certain areas. Faktorovich: How did you come up with the extreme sport of volcano boarding? Did you want to take pictures of an erupting volcano and had to devise a way to get off the volcano without injuring yourself on the ash or lava? How many times have you attempted volcano boarding? Do you plan on doing it regularly in the future? Faktorovich: When you directed WildAid, did you ever have to be armed like the troops you were working with while you were working to stop the illegal Asian wildlife trading? Were you ever in the middle of a dangerous conflict, or were you mostly working from an office, orchestrating others in the field? What kind of progress did you make during your tenure there? Istvan: I never was armed myself with weapons, but I was escorted by armed military personnel anytime I was in the field. That is mostly mandatory for Cambodia in the jungles. Poaching illegal wildlife is a billion dollar industry. It’s like drugs. So when people like myself and WildAid aim to stop it, the poachers and traffickers can get very hostile. I went on a number of raids of houses and camps trying to arrest poachers and save caged wildlife. There were many moments that it was really dangerous. Guns were often drawn. 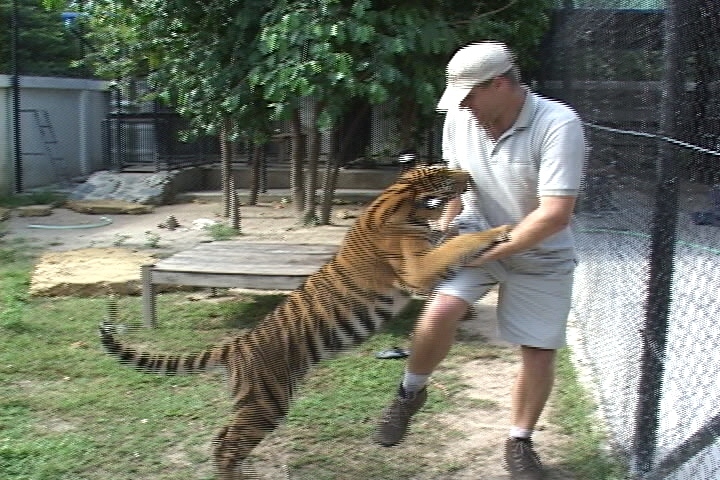 Mostly, I always had a camera and filmed our patrols. WildAid (which works with the Cambodian government) made massive progress while there. In Phnom Penh, for example, they stopped 90% of the restaurants from openly serving illegal wildlife dishes by their raids. It was very, very effective. Faktorovich: What business ventures are you currently developing? Do you have advice for starting entrepreneurs? Istvan: My entrepreneurial endeavors have been mostly tied to real estate through various ways. Though, I’ve dabbled in media and filmmaking with some success. My advice is never to use your own money for projects you’re not sure will succeed. That way, if they fail, your life can continue smoothly. Faktorovich: Do you see a logical conflict between believing in immortality and being an atheist? If there is no God, and if we can observe that all mammals, including humans, die, then how can there be a person that never dies without the existence of a superhuman being that does not follow the logical laws of nature? Istvan: I don’t see any conflict between atheism and living forever. I think the conflict lies in our lack of understanding of nature and its laws. While we humans are quite smart, we’re still just tiny little pieces of organized dust in the universe, at least from a practical level. We have much to learn before we can claim to understand the laws of nature. Of course, reaching a point where we don’t die is important and essential. And that will give us so much more time to evolve and become advanced entities so we can see all that the universe is and has to offer.